Someone tweeted out my previous articles about the immense damage that freeway construction did to our cities. I posted particular stark before and after articles of Indianapolis and Cincinnati. 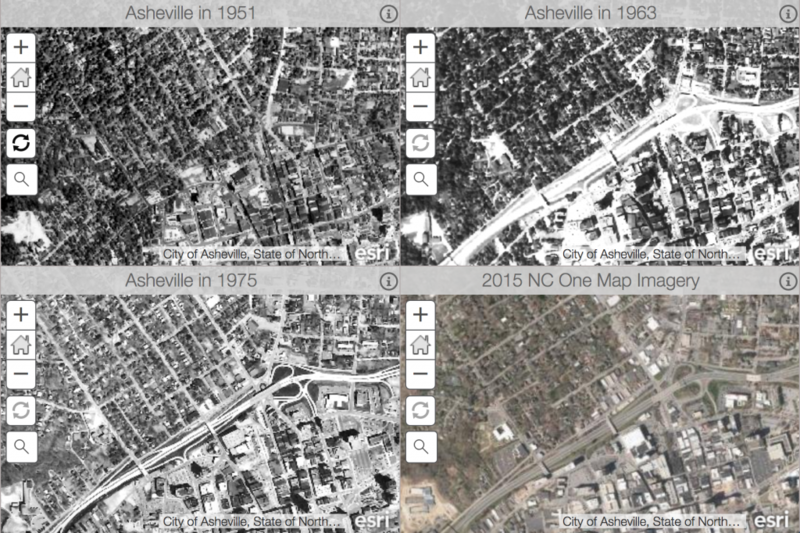 Dan Kostelec on twitter pointed me to a site from the city of Asheville, NC that compares aerials of the city from 1951, 1963, 1975, and 2015. This enables you to look at the effects of freeway construction in that city. It’s not as stark as the previous photos, but still shows the way that the freeway turned what was once one city into two.